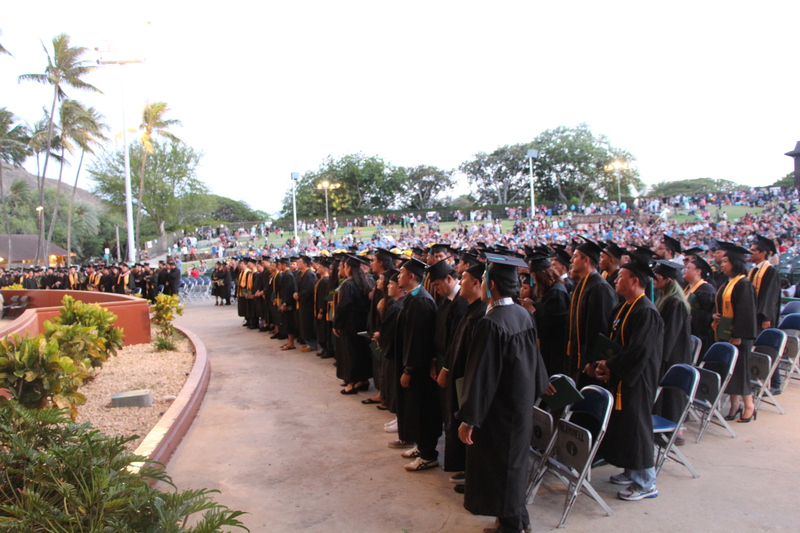 Honolulu Community College’s Commencement, “Dare to Dream Big” was held at the Waikiki Shell on Friday, May 15, 2015. Hundreds of students completed their commitment to agree to degree. The evening began with a Ho Oli Puka Kula entitled “Ke Kula Kaiaulu ‘O Honolulu” composed by Hawaiian Studies Assistant Professor Kimo Keaulana and performed by our Hawaiian Studies program. 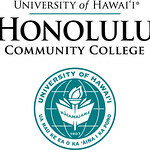 The National Anthem and Hawai‘i Pono‘i were performed by Lynn E. Ta’amilo, who received her Associates degree in Liberal Arts and is on the path towards a Bachelor’s Degree in Administration of Justice and a minor in Hawaiian Studies. Lynn plans on applying her education to emotionally guiding troubled youth. This year we were privileged to have two student speakers. The first was Shailanne Ah Loo, also known as Shai, who was awarded an Associates Degree in Applied Science with a major in Fashion Technology. She plans to continue on to obtain a Bachelors degree that will assist her in her goal of being a business owner. Shai aspires to her own line of boutiques and to start a foundation that will help underprivileged families. The second student speaker was Shirell Bell. Shirell completed her Associates Degree this past Fall and is currently attending the University of Hawai’i at West O’ahu majoring in Psychology. Shirell is a member of the Psi Chi chapter at UH West O’ahu and is very active in the Filipino community. Every year students nominate a faculty member that exemplifies excellence in teaching. This year that honor was bestowed on Assistant Professor in Construction Management, Norman Takeya. A special honorary doctor of humane letters degree was awarded to this year’s commencement speaker, Mr. Tom Moffat. Mr. Moffat’s name is synonymous with entertainment in Hawai’i. Tom Moffatt Productions produces live concerts, sporting events, ice shows, fundraisers, hotel and corporate parties, and international attractions. Born in South Lyon, Michigan, Mr. Moffatt moved to Hawai’i to pursue a law degree from the University of Hawai’i at Manoa. He was drafted into the U.S. Army two years later, where he was assigned to work for the Armed Forces Radio at Tripler Army Hospital. In addition to providing music and commentary over the radio waves, Mr. Moffatt also brought entertainers to perform for both the veterans who were in the hospital as well as for a larger community audience. Mr. Moffatt also assisted in special services, such as interviewing prisoners of war and preparing classified film for Congressional delegates. His productions have helped to put the state of Hawai’i on the global map as a legitimate international entertainment venue, bringing in superstars such as Michael Jackson, Elton John, and the Rolling Stones. In 2005, Honolulu Magazine named him as one of the 100 most influential people in the history of the city of Honolulu. Congratulations to the 2015 graduating class! Go forward and dare to dream big!